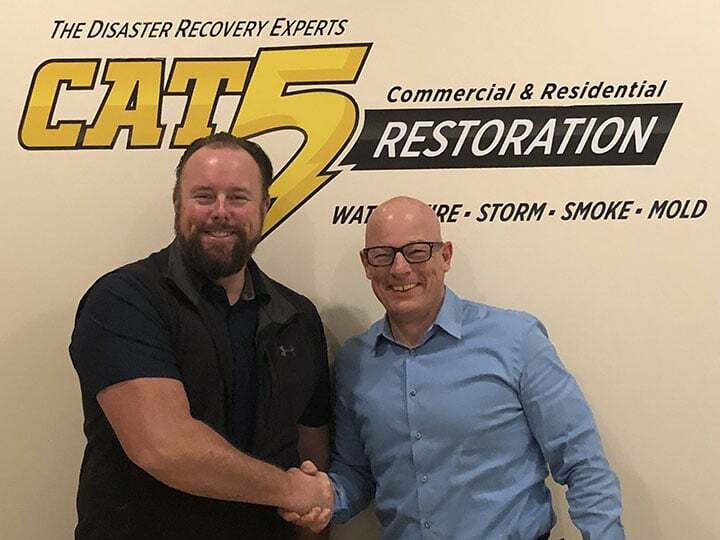 Orlando, FL – Kustom US (“Kustom”), one of the leading property restoration and recovery firms in North America, has partnered with CAT 5 Restoration (“CAT 5”), a Chicago based, privately owned and operated, full-service disaster response and restoration company. CAT 5 has 5 offices located throughout Illinois, Indiana, Wisconsin, and Florida. Kustom will now boast (19) physical offices while servicing clients in 50 states. Terms of the deal were not disclosed. “The partnership with CAT 5 will help us build our presence in the North Central Region and help build upon the already successful presence CAT 5 has in the region,” says Andrew Zavodney, Chairman and CEO of Kustom. The partnership of Kustom and CAT 5 is a part of the firm’s strategic long-term expansion plan in helping accelerate growth nationwide. Both companies share like-minded goals when assisting customers after a loss. CAT 5 Restoration specializes in disaster recovery for both commercial and residential projects. This partnership will help position Kustom as one of the largest, nationally-acclaimed, privately held, property restoration firms in North America. Founded in 1968 by Andrew Zavodney, Kustom US (“Kustom”) (www.kustom.us ) is a nationally acclaimed and industry-leading property restoration firm that provides unparalleled services to local, regional, and national clients. Kustom specializes in providing turn-key rapid response services to ensure the uninterrupted continuation of business operations following a property loss event. Over the past 50 years, Kustom has demonstrated a deep understanding of operations to consistently exceed client expectations and continues to grow into one of the most adaptive, customer-focused property restoration companies in America. CAT 5 Restoration (“CAT 5”), a Chicago-based, privately-owned & operated disaster recovery firm servicing 6 states. CAT 5 utilizes current technology and equipment within the industry resulting in faster recovery time for losses and specializes in handling disaster situations of any size.